I received a Sparkup – The Magical Book Reader for review. All opinions are my own. 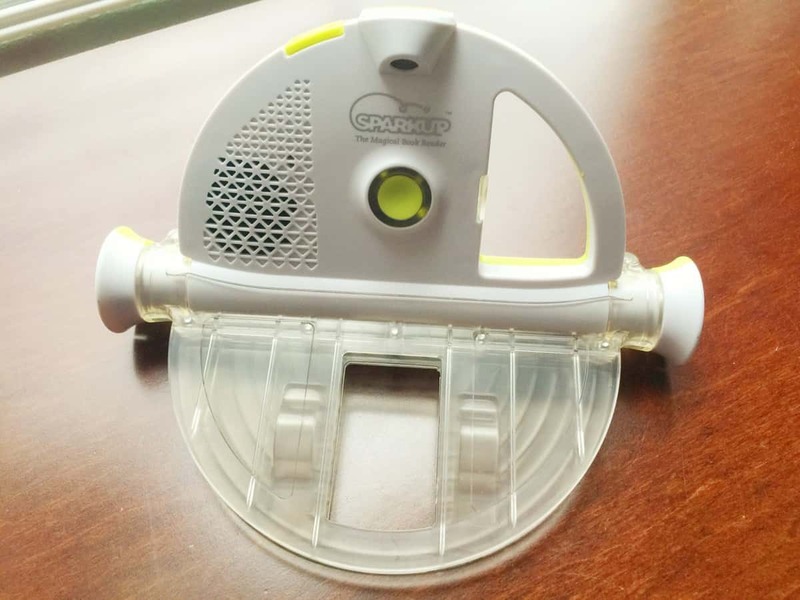 It’s not all that often that a toy will make me say, “Wow!” but I said it over and over while learning about the Sparkup reader. 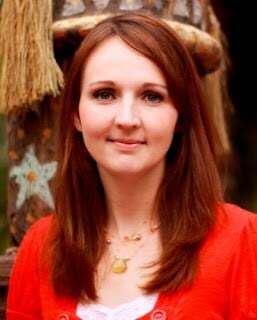 I was very excited about the possibilities of bringing more reading power to my children. This truly is the world’s smartest e-reader for printed books! Most children I know love having books read to them, especially when it’s complete with funny voices or sound effects from their loved one. It connects families through stories anytime, anywhere. 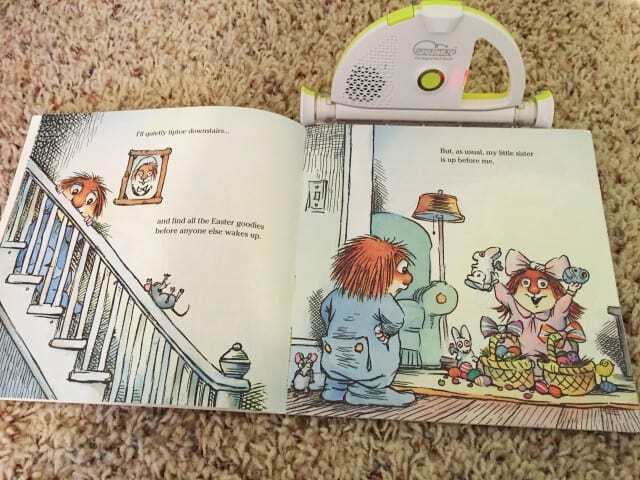 This little device allows you to record any book in the world, in any language, add voice animation or messages, store the recording and then gives your child the opportunity to attach that book later to hear the story read to them again in their loved one’s voice. 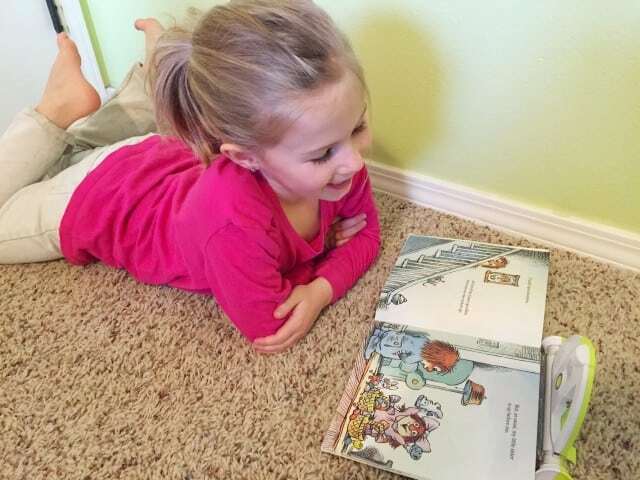 I love that it develops an even greater love for reading, especially in young children. It puts an endless number of books at their fingertips, even when a parent isn’t available to sit down and read at that moment. It’s a revolutionary concept and was so easy to use. The reader itself is compact (measuring only 7 inches wide) and made of solid hard plastic that makes it durable and strong. Using a built-in camera, Sparkup can scan each page so that it knows exactly what page you are on while you are reading it. The recording process is very straight-forward and simple. You simply slide the back cover page into the slot and then press the green central button in the center. A gentle voice prompt will take you through the quick steps of recording using the recording button on the side and then clicking the central button again when you are done reading that page. Sparkup can record a book in two different modes: “page by page” or “continuous,” (when you are more comfortable with the device and wish to record the entire book in one streamlined experience). If you ever want to re-record a page, you can just simply record over that particular page and continue on with your reading. When your child is ready to listen to their pre-recorded book, they just simply insert the back cover of the book into the reader and then press the green central button. The recorded voice then reads the title of the book and waits for them to turn each page before reading on. One of the coolest features is that because the camera is constantly scanning each page, you could skip several pages or go back and the reader knows exactly where you are and will wait for you to turn the page. Amazing! You may be wondering how many books could be stored on this small, smart device. The storage capacity is an amazing 4 hours of audio so there is plenty of room for hundreds of shorter children’s books. If you need more space, Sparkup has cleverly designed itself so that you can use the included USB cable to download recorded files onto your computer so that you can keep them forever. It has an amazing usage time of up to 30 hours of playback, and only requires 3 x AA batteries (comes included). Sparkup does not require you to buy special books, which is one of the reasons why I love it so much. Treasured family classics become the perfect addition to your recorded library. Some books, however, are easier for the book reader to scan and recognize. 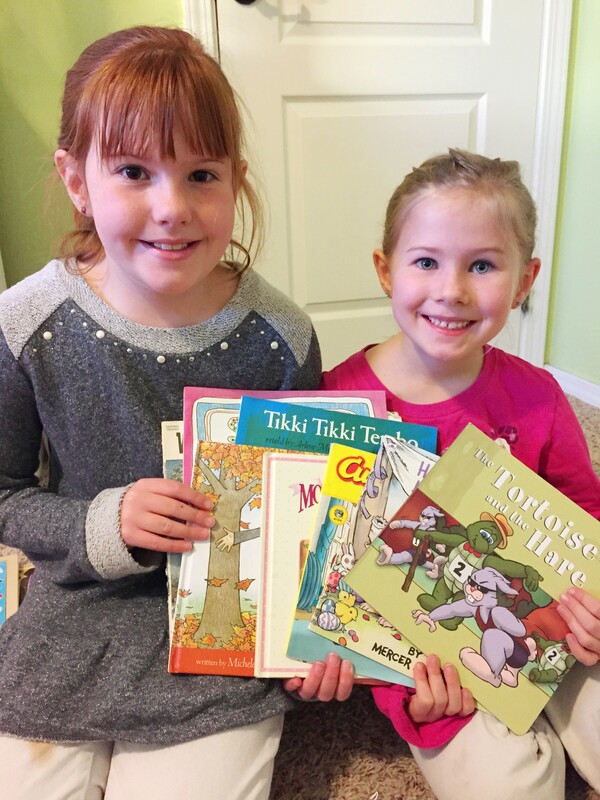 They recommend that you use classic children’s picture books with rich and distinct pictures (up to 60-70 pages), and hardcover books that can be transported easily (although you can use paperback, but you need to have them resting on a surface in front of you such as a table, floor, or pillow). It is best not to use books that have lots of pages of text-only, such as Harry Potter, or books with many similar, identical pages or with lots of blank white pages. You can even download some pre-recorded books from Sparkup’s website to add to your library! 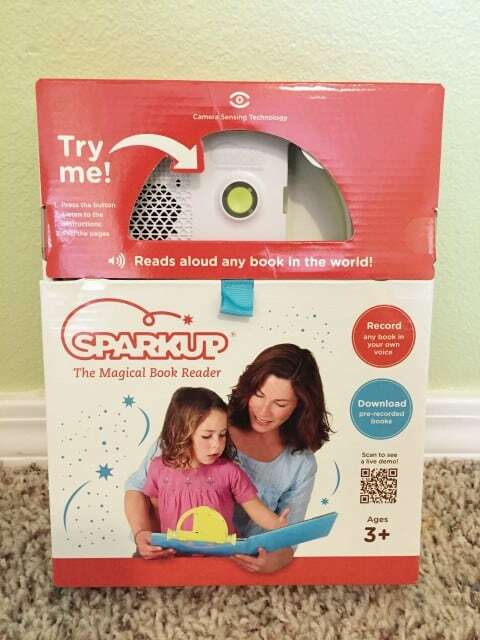 I’m excited about all the possibilities that the Sparkup- The Magical Book Reader gives our family. With grandparents that live far away, we are certainly going to have them record books for our children so that we can keep these treasured family memories forever. My father in particular is known for reading animated stories to my children, and I am so glad I now have a way to preserve that tradition. These devices would work excellently for road trips, in schools, for those with special needs and among preschoolers especially, but offers something special that I think any age would appreciate. 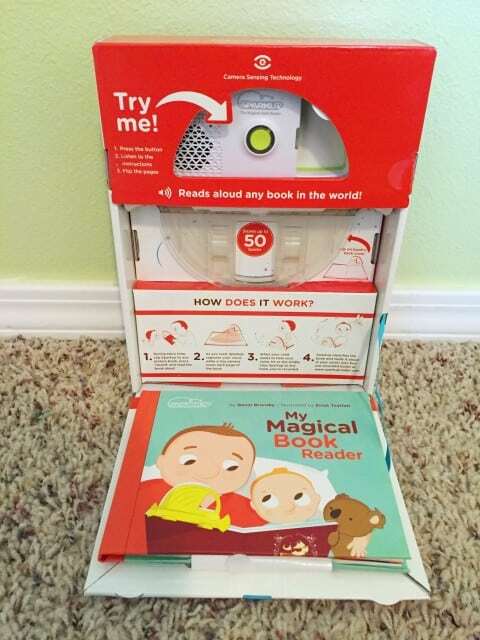 They have a fabulous video tutorial at www.sparkup.com that shows just how magical this book reader is! Previous Post: The Book with No Pictures- Hilarious Gift Idea! Next Post: Celebrating Annie in theaters Dec 18th with a Giveaway!